(b) is to be, or has been, used for a period of not more than 1 month." This exemption allows you to construct, alter or remove a tent or marquee, that is being used either for public assembly (eg at a school gala) or private use (eg for a wedding reception). However, this is only if the tent or marquee does not exceed 100 square metres, and is not in place for more than a month. The exemption also recognises the simple construction and temporary nature of stalls used at fairs, exhibitions (such as trade shows) and market events. The above conditions also apply to private marquees. The restrictions on maximum floor area have been imposed, to avoid potential safety problems. If you are proposing to erect a marquee that does not fall into the above category, you can apply for a building consent or a discretionary exemption from the need for building consent. Council will consider each application on its own merits, checking for compliance with relevant building code clauses, and either grant or refuse the application. Exemptions other than those listed in Schedule 1, are not automatically granted. In either case, complete all relevant sections of a building consent application form using the downloadable application form [PDF, 274 KB] or through our AlphaOne online consent system. Details of restraints/tie downs (these can vary for wind zones/speeds). An indication of time the marquee(s) is expected to be up for and who will be erecting/dismantling it. For marquees with large occupant numbers of 100 people or more, and/or providing employment facilities for 10 or more persons, an evacuation scheme must be approved by Fire and Emergency New Zealand (FENZ) before the marquee is occupied. Information relating to items a) to g) above may be provided by the person/company offering the marquee for hire – it is recommended that you check at the time of booking the marquee. 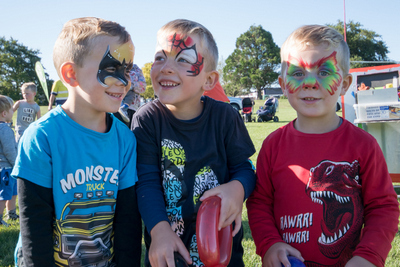 The event organiser is also responsible for obtaining appropriate approvals for any service connections (ie water or sewer) prior to the event – for further information contact water.services@selwyn.govt.nz. A minimum charge of $300.00 is invoiced once an exemption has been either granted or refused. If processing time exceeds this amount (ie further information or inspection by Council is required) then further costs may be incurred, which will be charged at actual time and cost. Your exemption documentation will be released when payment has been received by Selwyn District Council. Please contact the Building Advisory team on 347 2839 if you require further information. Note - if an exemption is granted, no inspection is undertaken by Council as the applicant has already confirmed the building work will comply with the Building Code throughout the time the marquee is erected.